Carriage House Art Studio | Find your inner artist. 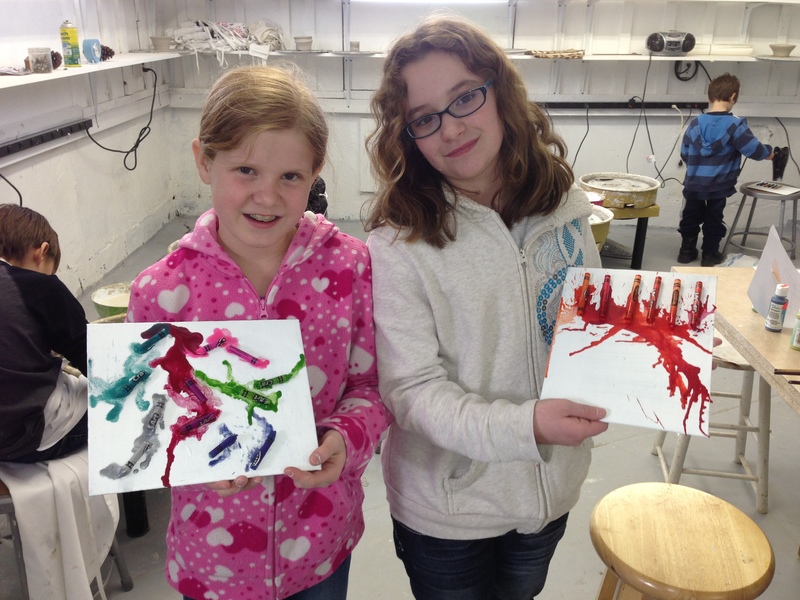 Be a part of the Carriage House Art Studio! Over 2,000 people of all ages have participated in events, classes, and parties since Carriage House Art Studio opened five years ago. We appreciate your support in building up the Arts in our area! While continuing to assist CANO in its mission to provide arts-education to area residents of all ages, CHAS is providing teaching opportunities to artists in our area through our class catalog posted online here: See CLASSES page for current schedule. 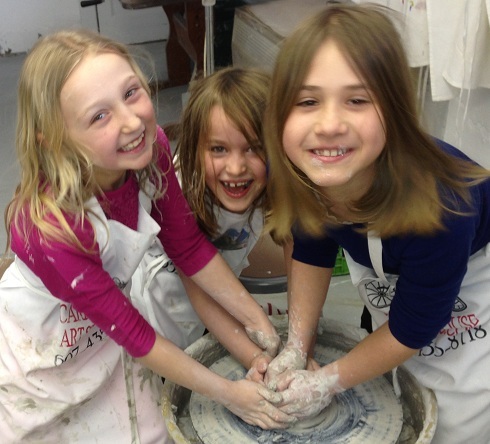 Using the pottery wheel is not always serious business! RENT STUDIO SPACE FOR YOUR CLASSES AND EVENTS!!! DID YOU KNOW? Art/Craft teachers can rent one or both studio spaces at CHAS for $20 per hour? Conduct ongoing classes, workshops and events. The ground floor studio is accessible with ADA facilities available in Wilber Mansion. PLEASE CALL FOR DETAILS. AFTER SCHOOL ARTS program for ages 5-14 has been very popular with the addition of an instructional computer lab and a wide variety of arts and crafts projects, plus homework help and academic assistance. In addition, volunteer opportunities exist in the after school program. After School Program is available on Mondays, Wednesdays and Fridays, 3:30-5:00 p.m. Only $20 per day including most materials. Pre-registration not required, but is appreciated (607-435-8718/607-422-6340) or Register Here. Michael Bagby and students in new computer lab! Explore the art classes available, tell friends and register online today. Individual, couples and family classes, organizational team-building and art parties are available. In addition, a focus group with a registered art therapist makes available evaluation and therapeutic support at CHAS. Call for more information. Every year potters are invited to make bowls throughout the year for CANO’s Annual Chili Bowl Fundraiser February 4, 2018. Follow me for dates and details! We also offer Professional Stained Glass Restoration Services to Churches and Residential clients as well as stained glass lamp repair. Call Doug at 607-435-8718 for further information. Carriage House Art Studio (CHAS) offers a variety of art programs, classes and studio space to the community. Explore this website to find information on our current classes and register online. CHAS is located in Oneonta, New York.